Restorations By Rodgers is a premier insurance restoration provider servicing Simcoe County and beyond 24/7, 365 days per year. Committed to offering exceptional customer service, superior workmanship, and workplace safety, Restorations By Rodgers incorporates its philosophy of personal accountability, with award winning construction expertise. The extra attention to detail begins with owner and president, Allan McLellan. Involved in the restoration and construction industry at Restorations By Rodgers since 1986, and owner since 2007, Allan sets the tone for a team approach to restorations. He has been restoring homes, industrial and commercial buildings in Simcoe County for over 25 years. Through Allan’s extensive knowledge of the construction industry and building code he is able to provide innovative cost-saving solutions to his insurance clients. The primary focus of Restorations By Rodgers is to provide superior customer service and quality workmanship to each customer. Our growth as a premier insurance restoration firm in Simcoe County is rooted in their motto “Restoring Your Dream with Our Team”. Our strong team approach to quality reconstruction, exceptional knowledge of the building code and customer service keeps them in the forefront of the restoration industry. 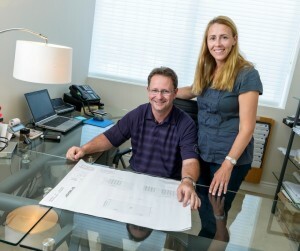 Project managers are assigned to individual projects and are experienced in and knowledgeable of Restorations By Rodgers reconstruction techniques. Each team member is held responsible for maintaining the company’s high standard of excellence. Workplace safety is always a top priority for the 20+ full-time team members. With its 10,000 square foot facility centrally located in Barrie, Ontario, Restorations By Rodgers is able to provide quick response to assist customers. Additionally, their large, modern and clean building provides ample space to process, clean and store contents. 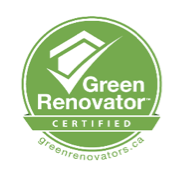 Restorations By Rodgers is a long time member in good standing with Tarion, WSIB, IICRC, Canadian Home Builders’ Association of Simcoe County, OHBA, Renomark, and a Certified Green Renovator. Restorations By Rodgers is fully insured for commercial liability and mould remediation.